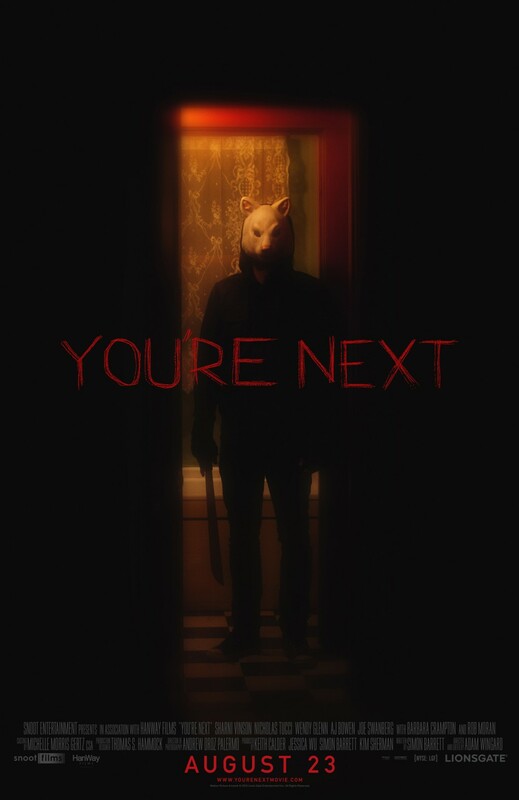 27 by 40 inch full size You're Next movie poster distributed at 2013 Comic-Con in San Diego by Lionsgate to promote the critically acclaimed horror movie. May have minor flaws as these posters were hand rolled by the distribution employees. ONLY 2 LEFT.